The design for the 3 in 1 Flint Rod Striker Fire Starter Whistle makes it easy for you to use guiding you to place your thumb in the perfect spot to create the most leverage when gripping the striker. 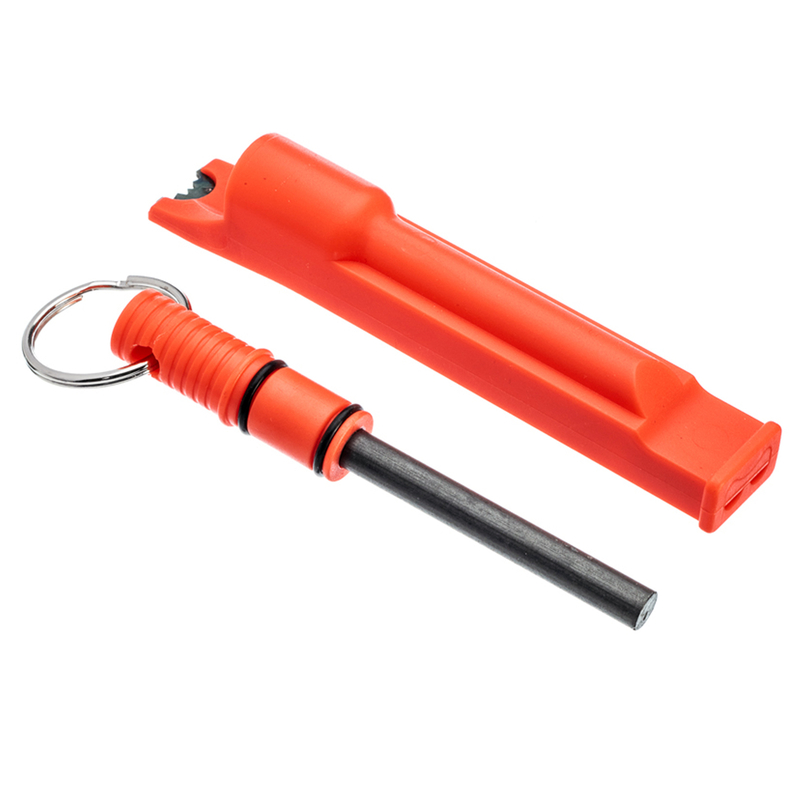 A whistle is integrated within the fire starter allowing you to signal other individuals in cases of emergency. 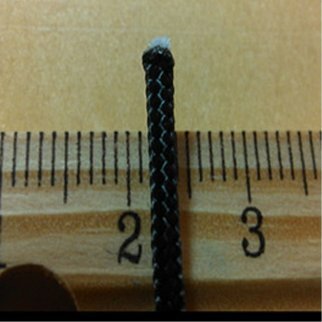 The key-ring allow for you to carry your keys, lanyard, carabiners and/or paracords along with the flint whistle to ensure that it will not be lost. ERGONOMIC - The design makes it easy to use guiding you to place your thumb in the perfect spot to create the most leverage when gripping the striker. WHISTLE - A whistle is integrated with in the fire starter allowing you to signal other individuals in cases of emergency. EVERY DAY CARRY - The key-ring allow for you to to carry your keys, lanyard, carabiners and/or paracords along with the flint whistle. EMERGENCY USE - Emergency Preparedness, Doomsday Prepper, Backpacking, Survival, Camping, Every Day Carry, Boating, Hiking, Bug out Bag, or Zombie Apocalypse. GREAT GIFT - Christmas, Valentines Day, Stocking Stuffer, Anniversary, Easter, Birthday, or Fathers Day. 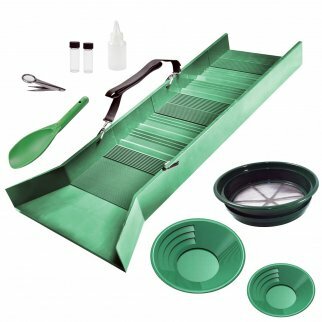 ASR Outdoor Deluxe Sluice Box Gold Prospecting Kit Classifier Pans Snifter 10pc $ 119.99	• 14% off! 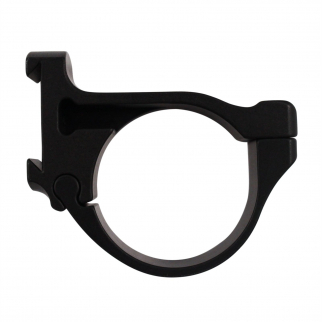 Flatline Ops Hitch HIker ADI/ACI Mount 34mm Ring System for Scopes $ 88.99	• 21% off!